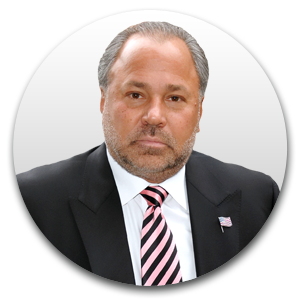 Forensic document examination is not something that people regularly come across in daily life. However, it is important to know what this is and what will happen when this is done. 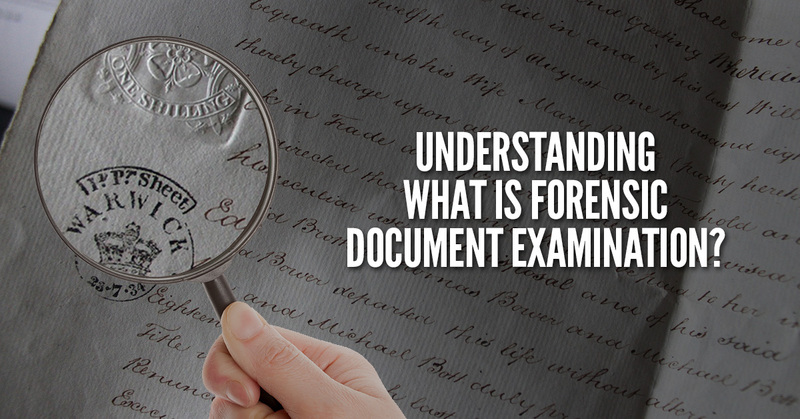 Forensic document examination is an established field of scientific study which is a linked to law enforcement. This field of study started in the early 20th century as a method of identifying fraud and determining the authenticity of vital documentation. The need for this came from the court system where the evaluation of document evidence was necessary. As the original documents that were examined were hand-written this field of study has often been called handwriting identification. 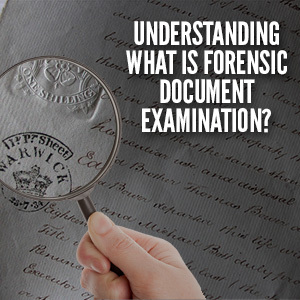 However, modern forensic document examination will look at a number of different issues related to paperwork. There are 6 primary areas that examiners will be able to look into and give judgments on. There are 6 areas of document examination that can be looked at. The first is the identification of handwriting and signatures which is based on the principle that while writing in a single language will be alike to a certain degree there are personal features that differentiate one person’s handwriting from another’s. To complete this examination the different class and individual characteristics of writing will need to be taken into account. The second area is the identification of the document as a forgery. This can be harder to determine based on the skill of the forger and whether or not they have taken the time to correctly forge a signature. There are times when this is easy because no attempt was made to forge the signature completely. The third area is the identification of check writers and photocopies where it needs to be determined whether a document comes from the same machine as another. Each machine will have certain characteristics which are unique and the examiner will need to determine this. The fourth area is the detection of alterations and erasures in a document. The fifth area is the identification and deciphering of indented writing. Indented writing is the imprint that is left on pages under the page where the writing actually took place. This will often be used when dealing with a pad of paper where the top page is missing. The last area is the comparison of inks as well as the identification of the writing instrument. Different writing instruments will leave a different trail pattern and the examiner will need to use this to determine what has been used to write.